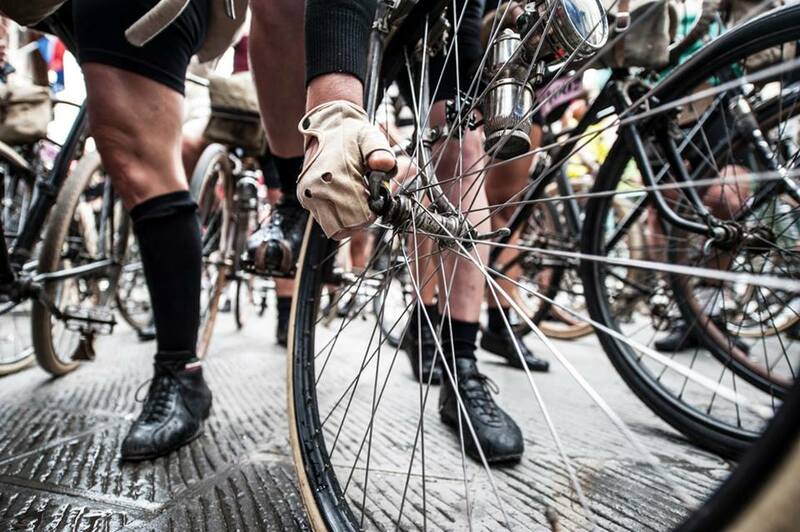 L’Eroica is a vintage bike event which takes place every year in October in the Chianti countryside around Gaiole in Chianti on the famous ‘white roads’, the dirt ones. This year will be its 20th edition and it’s being held on the 2nd October. There are various routes for various cyclists, ranging from the 46 km Leisure Route to the 209 km Long Route, just as long as a vintage bicycle is used. To be considered ‘vintage’ the bicycle must have been made before the 1980s and have a metal frame with gears on it and cage pedals. Not a competitive race, the participants and the volunteers along the route, who offer local food products at the various stations, are dressed in historical outfits turning the whole event into something very picturesque. It might not seem comfortable but the routes cover some of the most beautiful roads of the Chianti, Valdarbia and Val d’Orcia area. 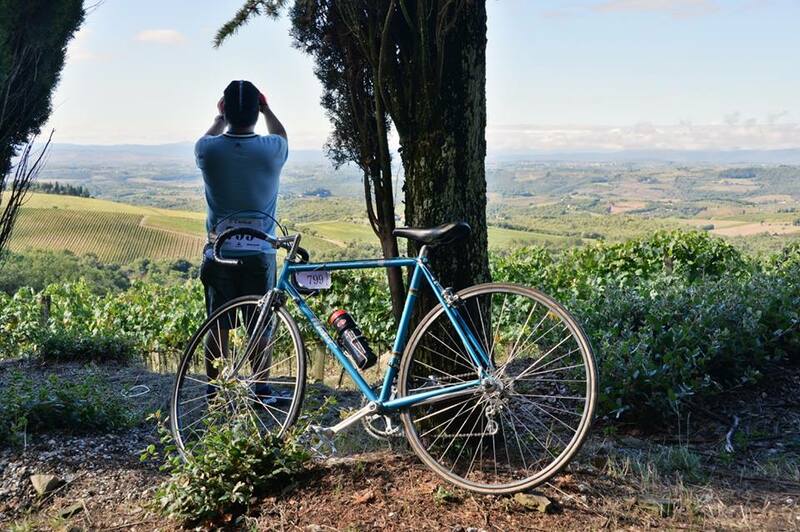 Cyclists will have the opportunity to admire the striking landscape surrounding the Brolio Castle, the Chianti Classico vineyards, the quaint streets of Radda in Chianti, the medieval walled village of Buonconvento and obviously Siena. So what are you waiting for? 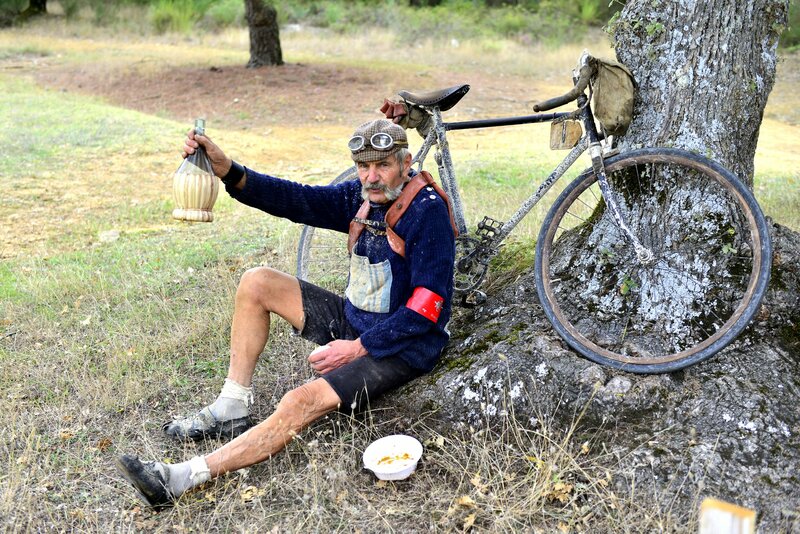 Grab a bike, your vintage jersey and goggles and sign up. 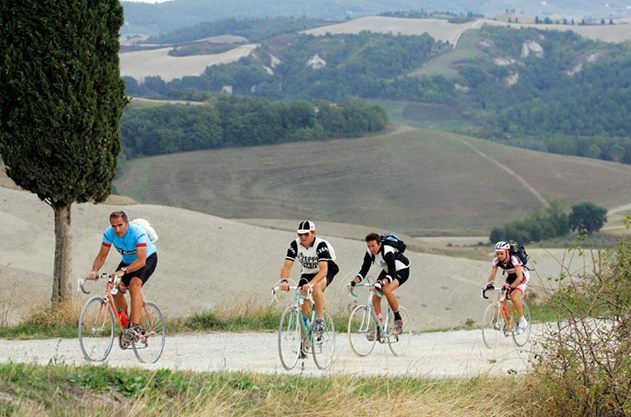 Questa voce è stata pubblicata in Chianti, Events in Chianti, Siena, Tuscan lifestyle, Tuscany e contrassegnata con Buonconvento, Castello di Brolio, Chianti Classico, cycling, Gaiole in Chianti, L’Eroica, Radda in Chianti, vintage bikes. Contrassegna il permalink.